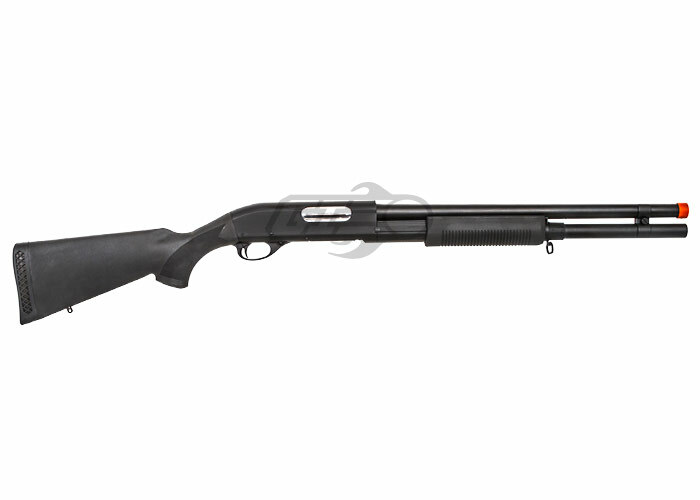 Take on the field with the Cyma Full Metal CM350MN M870 Full Stock Spring Shotgun Airsoft Gun. 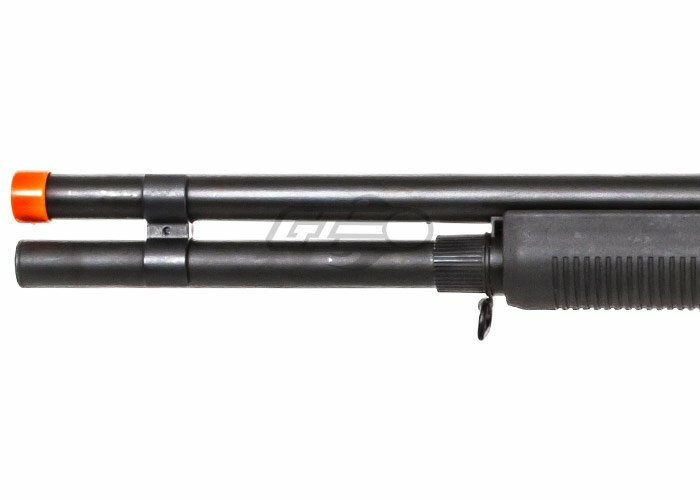 This gun is fed by a replica shotgun shell that holds 30 BBs and loads 3 BBs into 3 separate barrels shooting at 270-280 FPS. The 3 barrel design is the best way to accurately shoot multiple BBs at once. 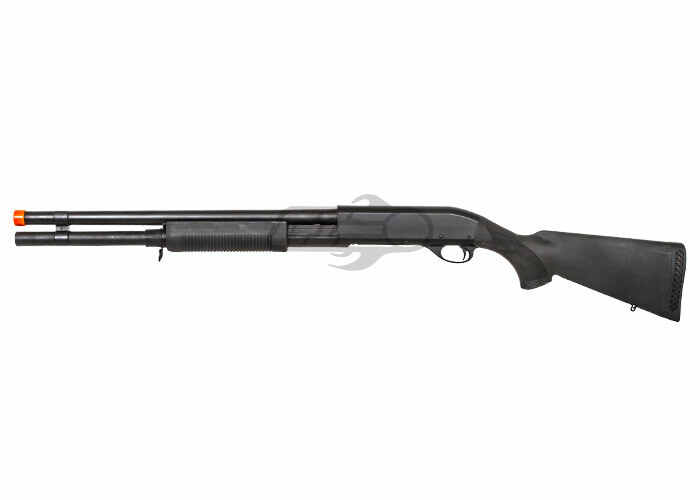 The metal construction compliments the airsoft gun's reliability, this shotgun features a durable plastic full stock design which assists the shooter with consistent aim. 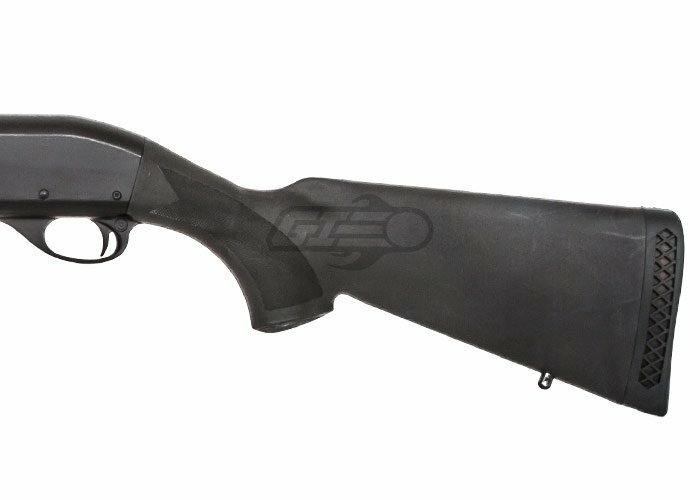 Look no further for a perfect addition for your airsoft collection with the Cyma Full Metal CM350MN M870 Full Stock Spring Shotgun Airsoft Gun. Are the shells 10 round or 30 round. The shells hold 30 BBs. Because the gun shoots 3 BB's at a time, you get ten shots per shell. What type of shells does this gun take? 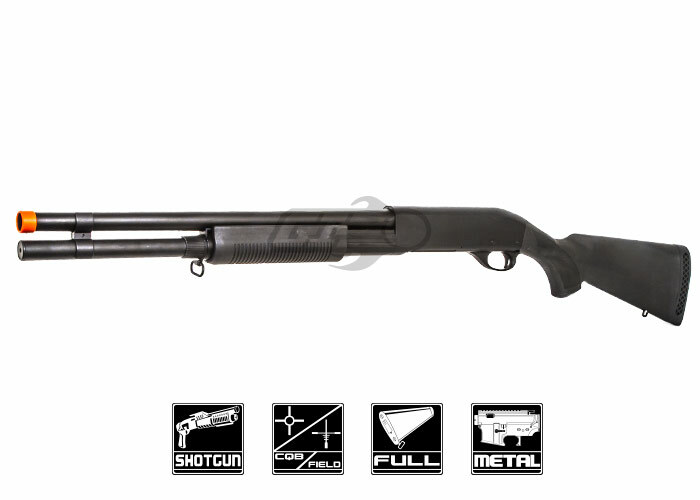 Im asking because I don't know if you guys sell more shells that would work with this gun. 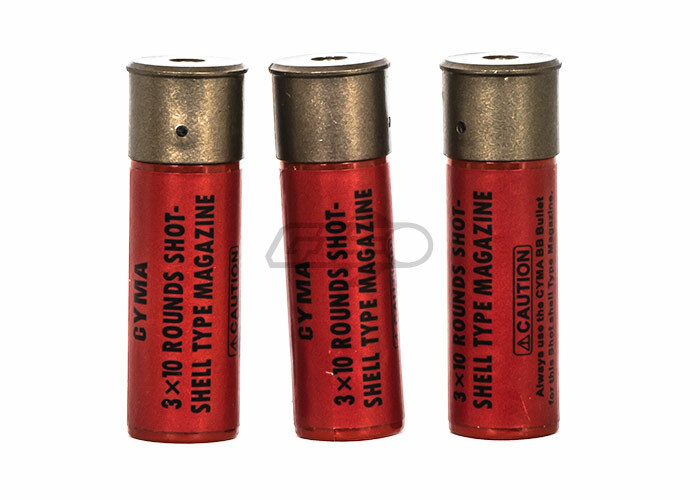 Our UTG shells on the site should work fine. 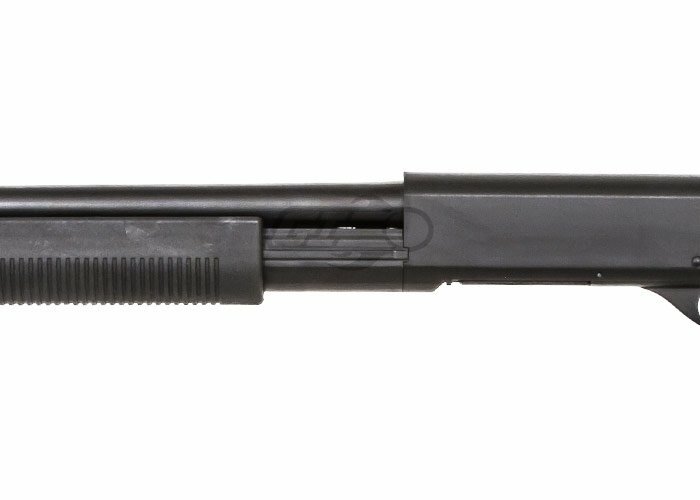 Will this size shotgun fit the condor scabbard? What set of fps numbers is correct? 270-380 or 270-280? In the Item Highlights it says FPS: 270-380 but in the Description it says:270-280. What set of numbers is right?